2nd Annual Chili Contest Round-Up and Winner Announced! I love chili. It’s hearty and comforting and generally speaking, healthy. 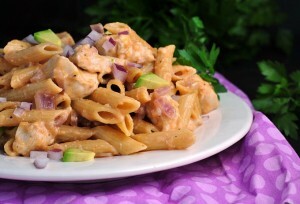 It’s also a cost-effective dish that can have any number of special touches. I’ve tasted everything from oregano to cocoa powder to cinnamon to sugar to peanut butter in chili. In addition to other more traditional ingredients like dried chiles, serranos, habaneros, poblanos, and so on. Chili can be vegetarian (or vegan), or packed with any number of meat varieties: beef, deer, pork, chicken, turkey…you name it! 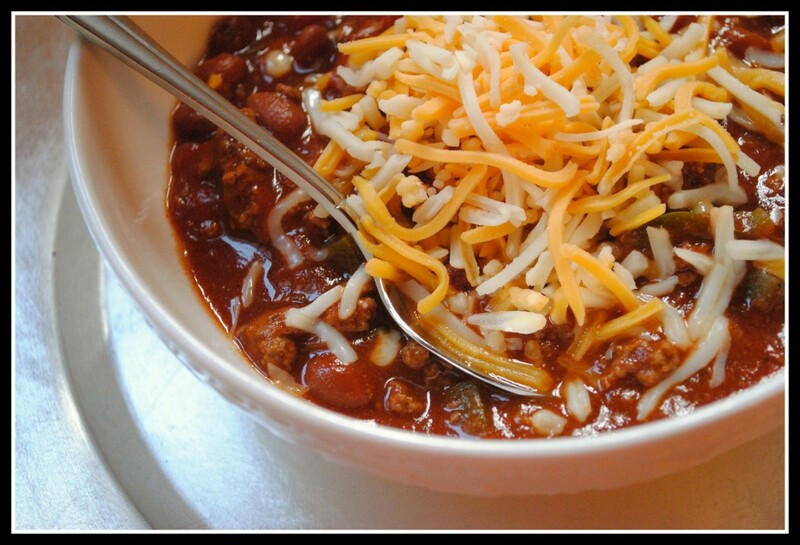 Chili can be thick and chunky or more soupy in consistency. 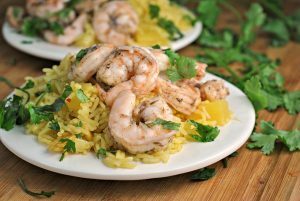 It can be served over rice, pasta, or even a backed potato. Chili can be served naked or littered with fun toppings like cheese, crackers, sour cream, chives, or green onion…just to name a few. Chili can be spicy, peppery, salty, mild, sweet, or even nutty. Have I convinced you that the combinations are endless? For this reason, fall and football season have become synonymous with chili. And as of last fall, chili contests! It has become tradition in the Prevention household for Saturdays to revolve around college football, friends, chili, and probably a cold, frothy beer, too. Friends and family expect that Saturdays between late August and early December are spent in this same fashion, and we wouldn’t have it any other way. Of course, Mr. Prevention converting our basement into a home theater (read: man cave) helps create the perfect environment for sports fans and chili fans alike. So without further adieu, here are the entries into this year’s Chili Contest! Entry #1 was a Crock Pot Chili recipe submitted by Heather from Hezzi-D’s Books and Cooks. This chili was a traditional ground beef and bean chili and packed lots of heat. The fact that it was made in the crock pot is a major plus. Mr. Prevention loved this chili – mostly for the heat-factor, I believe. He sang the praises of its flavors. This entry for Chili, entry #2, came from Christine of Christine’s Kitchen Chronicles. When I saw that this recipe contained sugar, I did a double-take. Could that possibly be correct? It was correct. And it was delicious. I said it back in October…this recipe would be hard to beat! 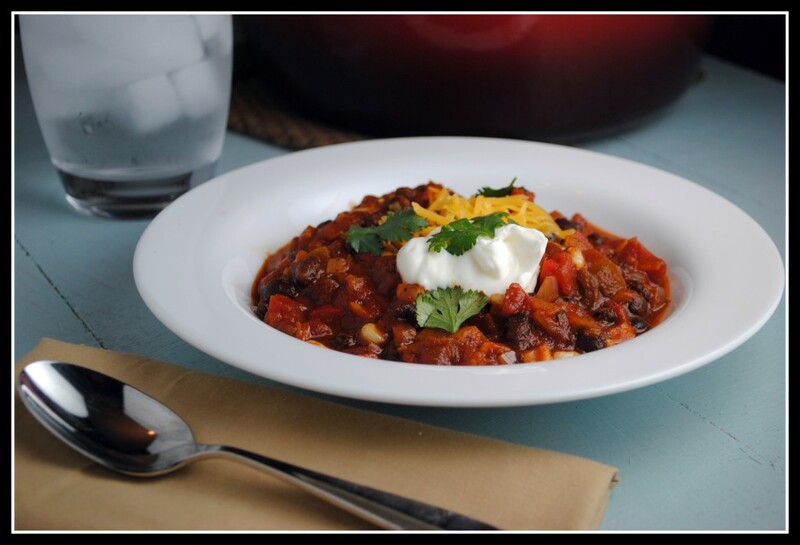 Heather over at Run Lean Green submitted entry #3, a Crock Pot Tex-Mex Chili. This recipe contained a packet of each ranch dressing and taco seasonings and was adapted from Paula Deen. I loved the corn and chunky tomatoes. It was thick and packed with flavor! 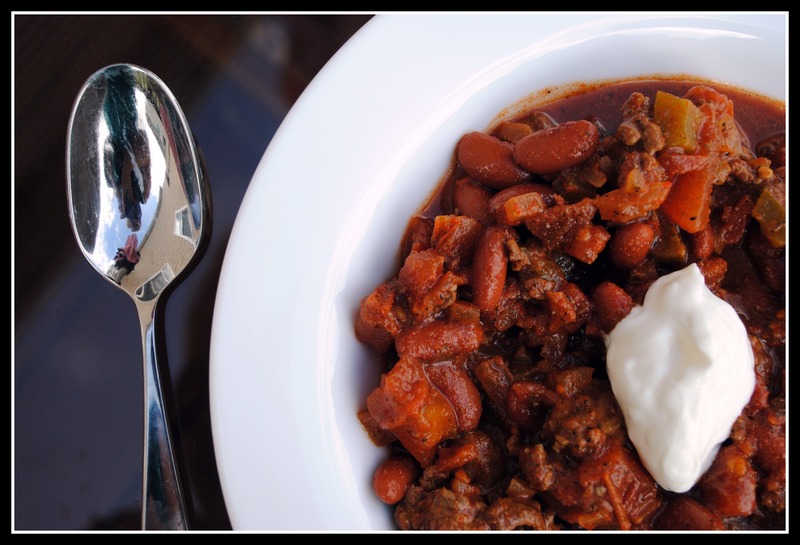 Entry #4, Three Bean and Beef Crock Pot Chili, was submitted by my friend Heather over at Get Healthy with Heather. This super bean-y, hearty chili packed lots of heat…and fiber! This is perfect for the bean lover who wants a traditional, spicy chili. 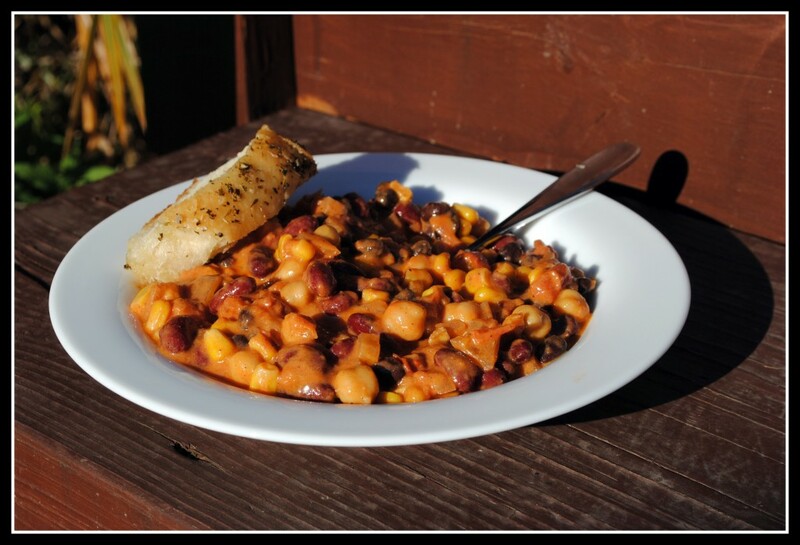 Branny from Branny Boils Over submitted this recipe for Vegetarian Chili…with peanut butter! Entry #5 had me worried. Peanut butter? In chili? Guys, it works! It was delicious! Mr. Prevention and our friends can attest to that, too. As skeptical as we all were, it was such a fun, unexpected twist! Last year’s winner, Stacey, filed for the 6th and final entry with a Vegetarian Black Bean Chili. This recipe called for lots of onion and bell peppers…along with various chili powders and cumin. It was a hit! 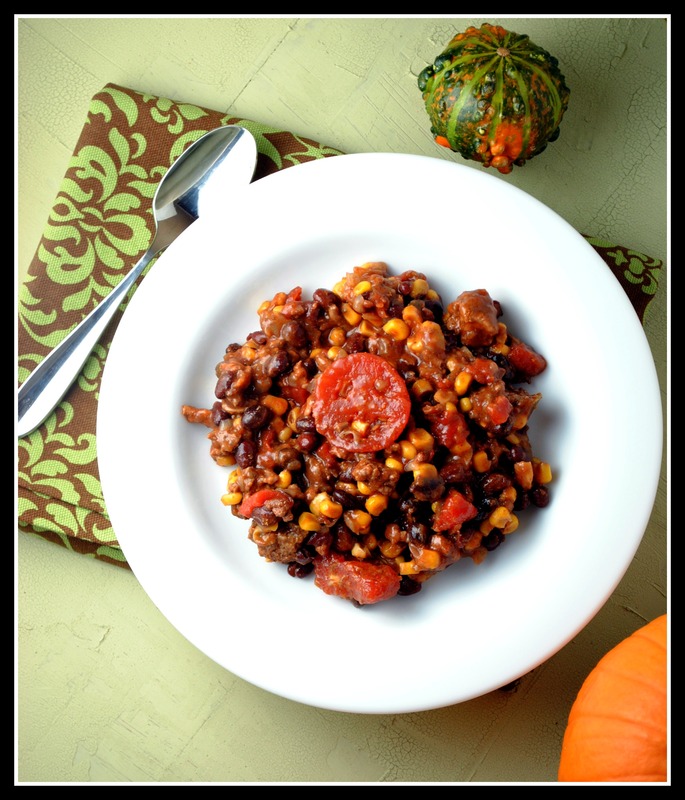 So deep with flavor, this vegetarian chili would win over any carnivore! Thank you to all of this year’s participants! We thoroughly enjoyed each recipe! Christine, please email me redeem a $25 gift certificate to Whole Foods! Congrats! They all sound delicious! I have never tried a chili with sugar in it before, but cinnamon, yes, and chocolate, yet, so…I’m sure it wouldn’t taste too unfamiliar! It must have been pretty darn good. Congrats Christine!! How fun! I’d love to try them all – especially the peanut butter recipe. I love dipping a peanut butter sandwich in chili, so I bet it would be just as great IN the chili. Congrats to Christine and thanks for sharing all of the recipes! I totally missed that this contest was happening. Next year I’m in! Those chilis look delicious. Congrats, Christine! While I’m sad I didn’t win, I do completely understand the yumminess that is a sweet chili! They all look and sound amazing!!!! 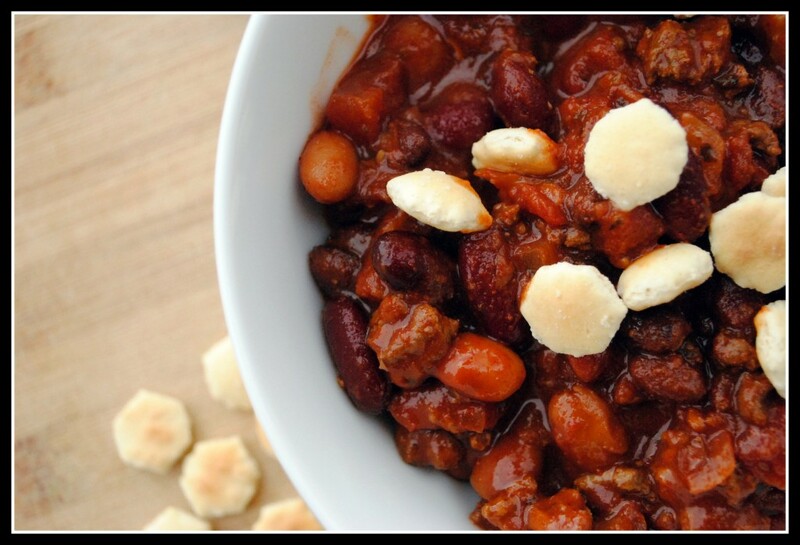 I need me some chili now… With a couple big hunks of corn bread too. Yum. Gotta try the winner’s chili now! Okay PB chili is totally on my list of things to make! Congrats to Christine!!! I’ll definitely have to give her chili a try. It’s been way too long since I’ve made some. I’m a huge fan of chili and I will be referring back to this post later this winter, I’m sure! A huge congrats to the winner — her chili looks amazing! Congrats to Christine!!!!! I’m going to give her award winning chili a go. Have a great weekend Nicole!!!! I have to say, i do really adore chili. And all of these sounded awesome. I dont’ know how you managed to choose a winner…and I dont’ envy you that task!